Actress-host Anne Curtis officially confirmed her role as 'Dyesebel' in the remake television fantasy series of Kapamilya network. 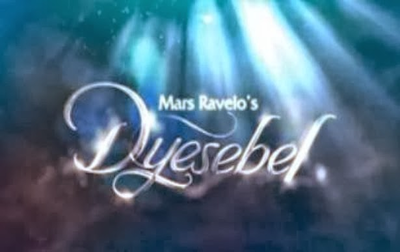 Dyesebel is one of all famous graphic novel created by Mars Ravelo. There's a rumor before this news that actress Kim Chiu will get the role as Dyesebel. Then on January 9, ABS-CBN announced on the press media conference that actress Anne Curtis is set to play Dyesebel. Aside from her, the other cast are also include Zsa Zsa Padilla, Gabby Concepcion, Eula Valdes, Gerald Anderson, Sam Milby, Neil Coleta, Bangs Garcia, David Chua, Young JV, Ogie Diaz, and Ms. Ai Ai Delas Alas. So wait for the announcement about the premier date of 'Dyesebel' on ABS-CBN network. For the meantime, please bookmark this page now or visit this site more often for you to be updated. You may also share this post to your friends so they may know about Anne Curtis as Dyesebel. Comments or suggestions about "Dyesebel role officially gave to Anne Curtis" is important to us, you may share it by using the comment box below.